Hi Guys! 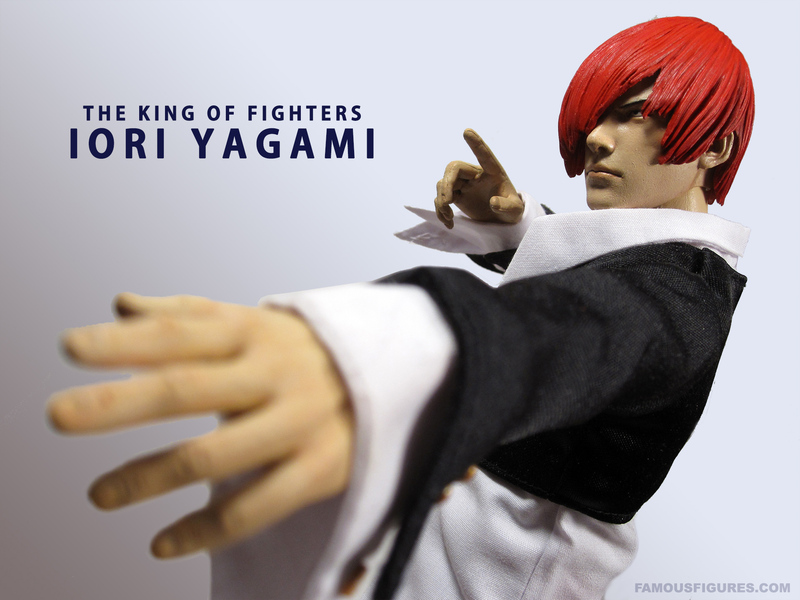 Here’s Iori Yagami, one of the marquee characters from the long-running King of Fighters videogame series. He’s been in almost every KOF game since the series started in 1994 and is definitely the series’ most popular original male character (Terry Bogard was from Fatal Fury, not KOF). 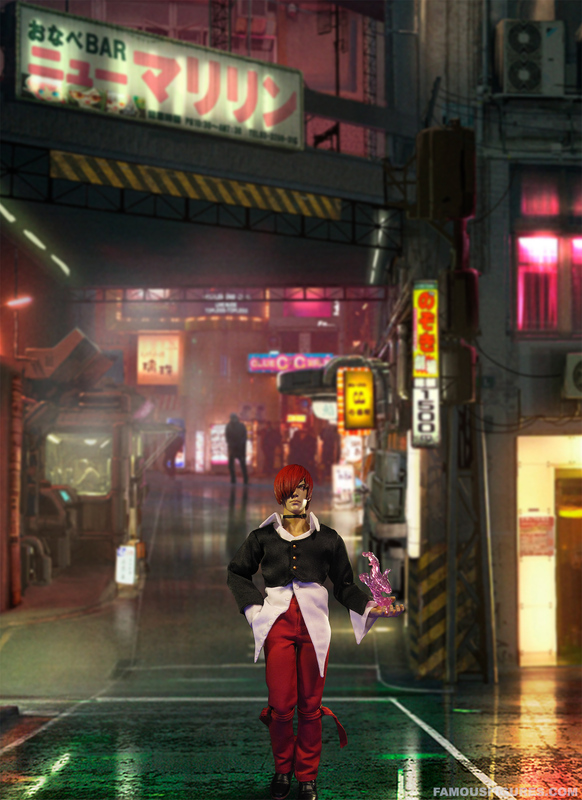 He wields the telekinetic powers of the Orochi flame and serves as the antagonist/frenemy to series hero, Kyo Kusanagi. I’ll level with you: I don’t use Iori when I play KOF. He’s cool but never been my fave. 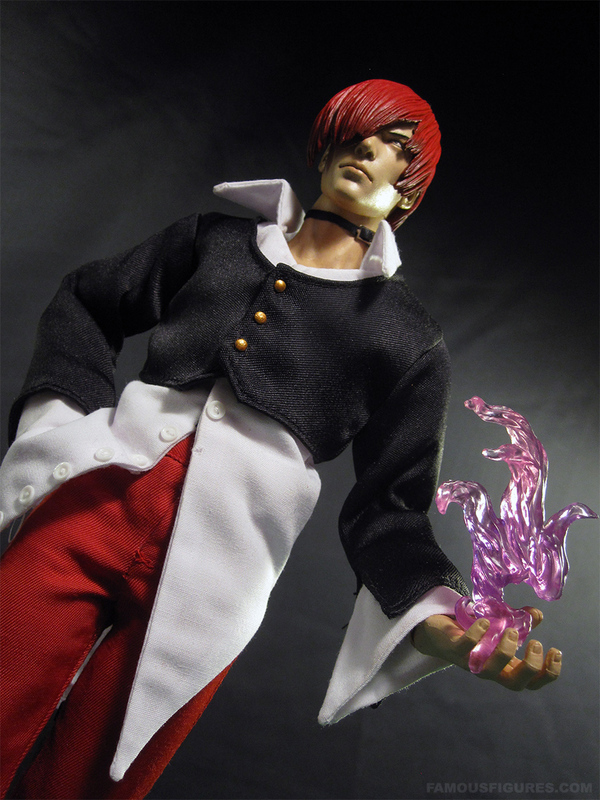 However, I came across Hot Toys’ old & really crappy year 2000 Iori figure for a cheap price and I wanted to see if it was possible to salvage it. Hard to believe now, but Hot Toys sucked back then – this was before they hired world class customizers for their design team – so I thought it would be a nice challenge to improve on it. 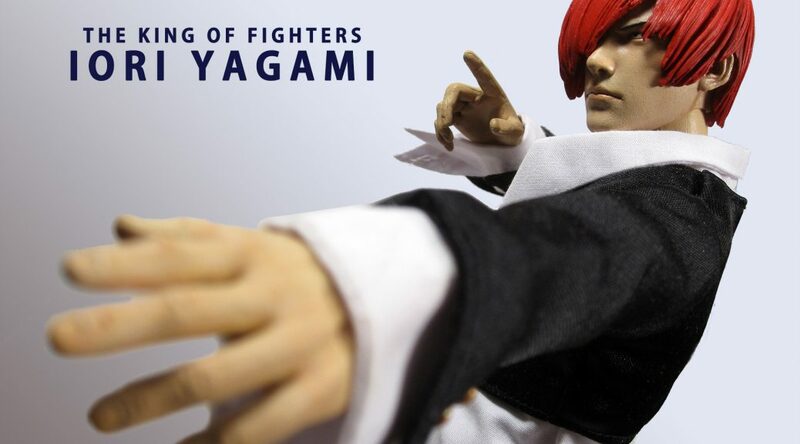 Google “Hot Toys Iori” to see the original figure. The original HT pieces left are the black jacket, white shirt, and pants. 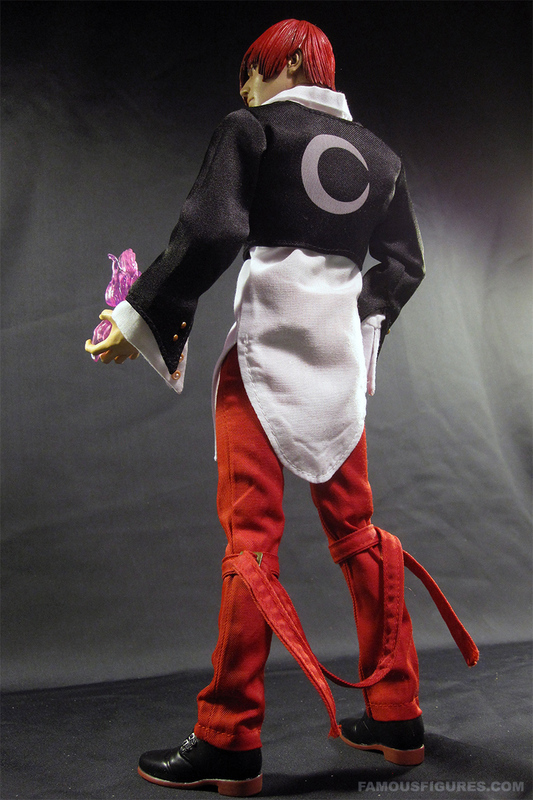 I refit the clothes slightly, replaced snaps with thin velcro, rearranged buttons, and cleaned/starched the whole thing. The material is still too thick, but the work to fix that would be so extreme that I may as well sew clothes from scratch. The hair is also from the original figure, but repainted and hollowed out. I made the neck choker. Head is recast & sculpted over VeryCool head. Hands are from misc brands. 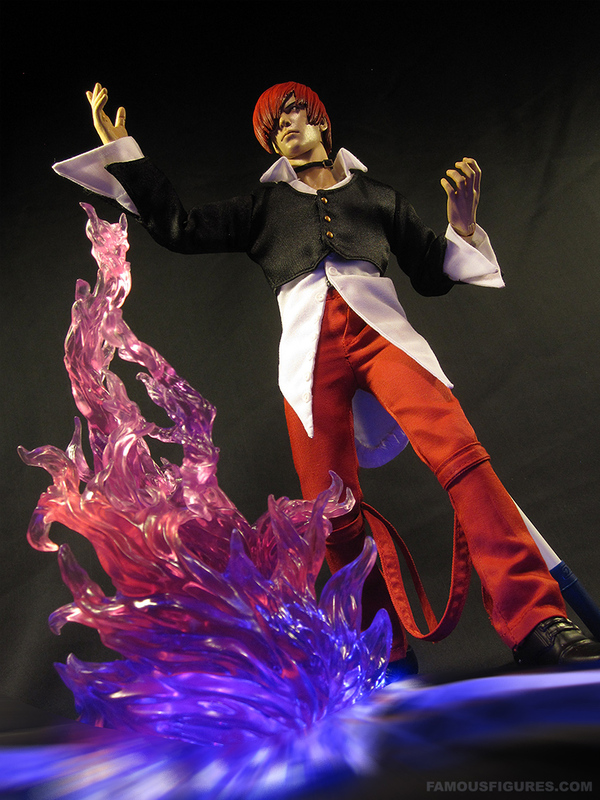 Flames are Japanese hobby flame dio pieces.